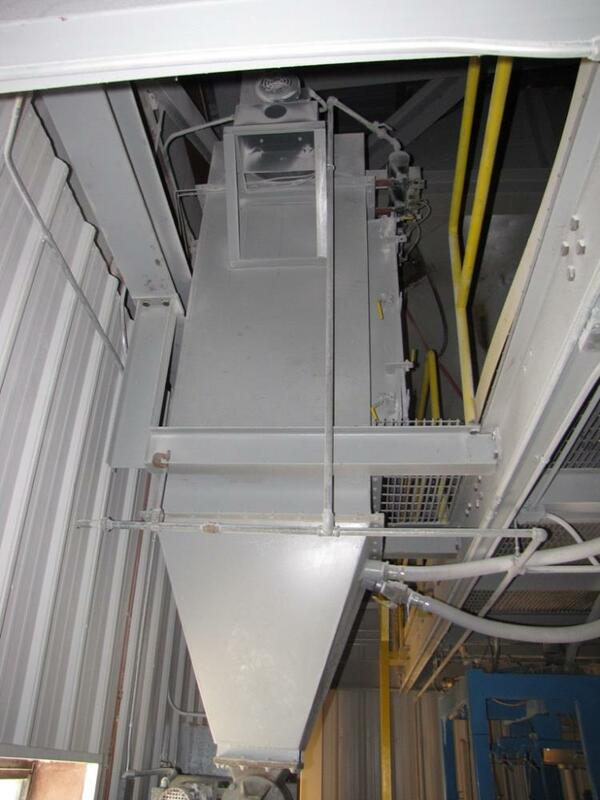 Baghouse dust collector, manufactured by Flex Kleen, model numbe 48 BVBS. 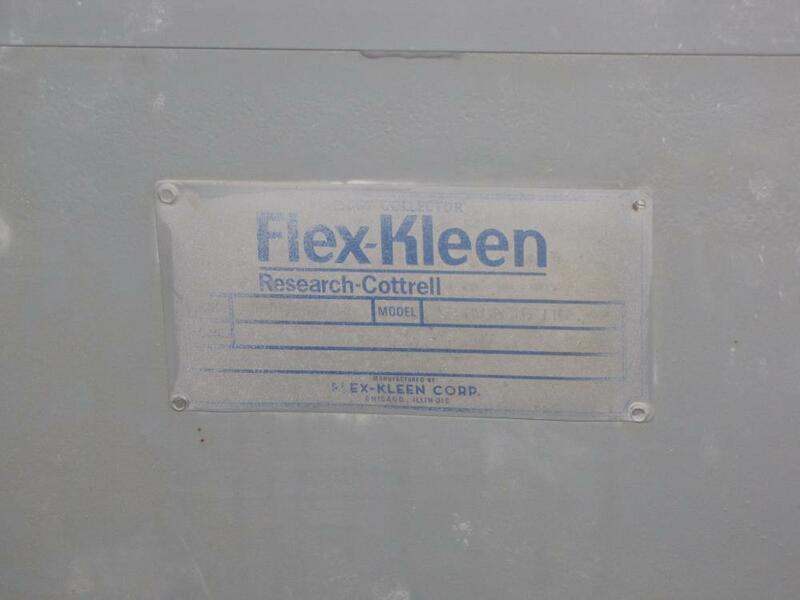 Includes pulse jet cleaning mechanisms. Unit has sixteen (16) bags for an approximate cloth capacity of two hundred (135) square feet. 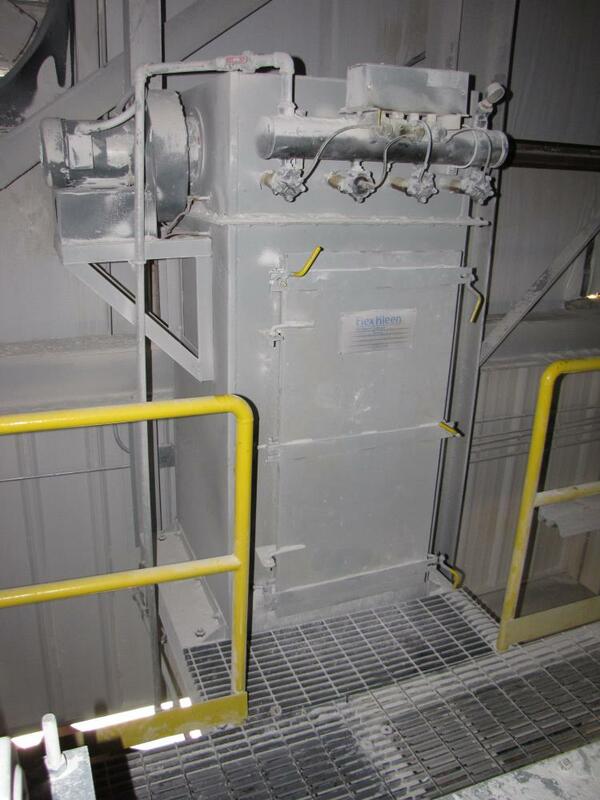 Includes exhauster and rotary airlock valve attached to pyramid shaped discharge. Previously used in mining operation. Good condition.